Is Global Contrarian Investing Right for You? There are two primary schools of thought when it comes to investing: Some investors prefer to follow long-term trends through index investing, while others try to find investments that the market has misunderstood through contrarian investing. Contrarian investing involves buying assets that the market doesn’t necessarily favor at the moment in the hopes that the market will eventually realize the true value of the asset over time. Contrarian investment strategies try to invest in out-of-favor assets and sell them when they come back into vogue. For example, a contrarian investor may purchase a stock in a sector that’s out-of-favor—say energy—with a low price-earnings ratio. As sector rotation occurs and energy prices recover, the price-earnings ratios of companies in the space will rise due to the greater growth prospects. The value of the investor’s energy stock will likewise rise greater than the overall market thanks to an expanding multiple and rising earnings. The core premise of contrarian investing is that crowd psychology inevitably leads to the mispricing of assets in a given market. There is ample evidence of this behavior following earnings announcements when companies often experience significant volatility early in the day before evening out by the end of the day. For instance, a stock may fall dramatically just after the market opens and immediately recover some ground. 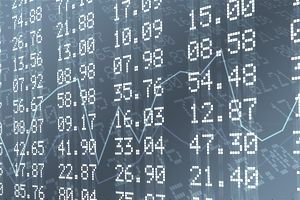 Contrarian vs. Value Investing: Contrarian and value investing are similar in that both strategies attempt to identify undervalued securities before they’re discovered by the wider market. For example, both strategies may screen for opportunities by looking for favorable financial ratios that suggest a stock is relatively undervalued compared to the overall market. Some experts, like the well-known value investor John Neff, believe that the two terms may even be synonymous. The key difference is that value investing is purely focused on fundamental merits, such as financial ratios or the present value of future cash flows. In contrast, contrarian investors will also look at technical factors—such as oversold indicators—and subjective factors—such as bearish media coverage. Contrarian investors attempt to find assets that are oversold and undervalued rather than just assets that are undervalued. There are many different strategies that can be used to find contrarian investment opportunities, including various forms of both fundamental and technical analysis. Fundamental Strategies: The most popular early contrarian strategies involved finding stocks with low price-earnings ratios, low price-to-cash flow ratios, low price-to-book value ratios, and low price-to-dividend ratios. In general, these companies tend to be out-of-favor compared to companies with high financial ratios since the market is valuing them at a lower multiple. Investors may also look at volatility indexes, such as the VIX, and buy assets when the market is overly pessimistic. The “Dogs of the Dow” is perhaps the most popular contrarian strategy that involves purchasing the highest yielding stocks in the Dow Jones Industrial Average. Often times, this means that an investor is buying the most distressed companies since falling prices cause higher yields. Technical Strategies: Many contrarian investors also incorporate technical analysis into their decision-making since the strategy is driven by behavior finance factors that can be quantitatively analyzed. For instance, a contrarian strategy may involve buying stocks with a Relative Strength Index that has dropped below the 30.0 point that suggests oversold conditions. The goal is to capitalize on the reversion to the mean that may be likely to occur. Contrarian investing principles can be applied to international markets by investors seeking to buy into undervalued countries or regions of the world. It’s common for entire countries or regions to fall in and out of favor over time. For example, the European sovereign debt crisis led many investors to avoid European stocks, which resulted in significantly discounted price-earnings ratios. Investors that purchased Greek or Irish stocks at the height of the crisis would have made significant returns on those investments. The same is true for Asian investments during the Asian financial crisis in the 1990s. In addition to specific events causing discounted valuations, investors can also look at a country’s economy to determine if it’s over or undervalued. Warren Buffett famously looks at a country’s total market capitalization divided by its gross domestic product. Countries with a ratio above 90 percent tend to be overvalued and those below 75 percent may be undervalued. This can be a great starting point for investors seeking opportunities abroad. International contrarian investing may be especially useful when domestic equities appear overvalued across the board. In this case, a domestic-only contrarian investor may not be able to find many opportunities without looking abroad. Contrarian investing attempts to invest in assets that are out-of-favor and sell them when they come back into vogue. There are many different fundamental and technical strategies that can be used to accomplish these goals, while investors may also want to look beyond the United States to find the best opportunities.